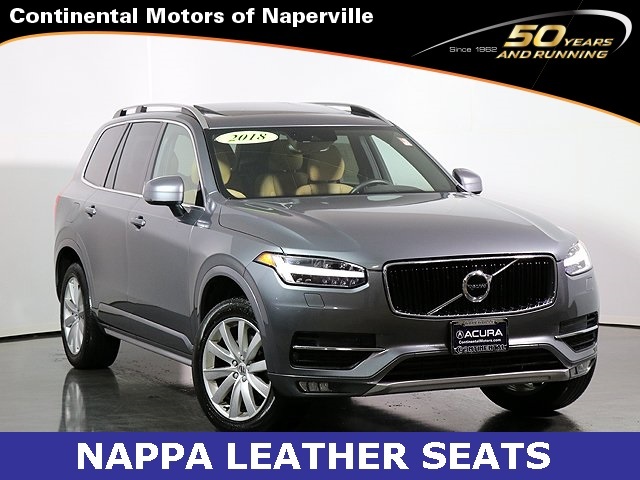 2018 Volvo XC90 T6 Momentum Electric Silver Metallic I4 Supercharged Priced below KBB Fair Purchase Price! CARFAX One-Owner. **NAVIGATION**, **POWER MOONROOF/SUNROOF**, *** REMOTE KEYLESS ENTRY ***, **NAPPA LEATHER SEATS**, **3-ROW SEATING**.